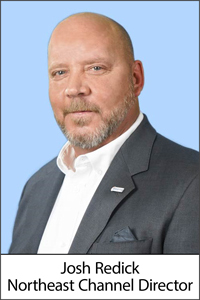 LOS ANGELES – August 16 , 2018 – AireSpring, the award-winning provider of cloud communications and managed connectivity solutions, is pleased to announce that channel leader and telecom industry veteran, Josh Redick, has joined as their new Northeast Channel Director. The new role has been created to help grow AireSpring’s footprint in the Northeastern U.S, harnessing the company’s growth in major markets across the nation. In this new role, Mr. Redick will draw on his 20-year career in the industry, as well as his many relationships with key partners in the region, to build a strong channel organization in the Northeast, modeled on the highly successful AireSpring prsence in other markets. He will also be tasked with recruiting additional channel managers for his team as well as partner support professionals. Throughout his telecom career, Mr. Redick has excelled as a sales leader and as an organization leader. Initially, he worked for 11 years at XO Communications, first as a direct sales manager, then as general manager for the channel, leading a team of over 100 people. He moved on from there to Telesphere (later acquired by Vonage), where he spent six years as East Coast Channel Director based in New York. He was named a President’s Club winner four times and helped to develop the Eastern region from their lowest performer to the top performing region, bringing many of his past partner relationships to the company, generating growth in hosted UCaaS, data networking and MPLS. He went on to become a senior channel manager at Broadview Networks (later acquired by Windstream), and worked with partners in the enterprise level environment. Founded in 2001, AireSpring is an award-winning provider of cloud communications and Managed Connectivity solutions, serving thousands of businesses nationwide. AireSpring provides fully managed and connected end-to-end, next-generation solutions for multi-location enterprise customers. Services include SD-WAN, AirePBX Cloud Business Phone Systems, AireContact Cloud Contact Center, SIP Trunking, MPLS, Disaster Recovery, Managed Security, and Business Internet. AireSpring’s solutions are offered through a diversified network of channel partners that includes distributors, master agents, managed service providers (MSPs), and value added resellers (VARs). AireSpring’s services are delivered over its revolutionary nationwide MPLS Mesh network, providing customers a fully integrated, end-to-end solution from a single vendor. AireSpring has received numerous industry awards for “Next-Gen Solution Provider,” “Top Midmarket Vendor Executive,” “Product of the Year,” “Best Telecom Deal,” “Best in Show,” and “Top Channel Program.” AireSpring is privately held, diversified, debt-free, and renowned in the industry for delivering a broad range of innovative cloud communications and connectivity solutions at competitive rates. To find product information or to become an AireSpring partner or agent, please visit www.airespring.com or contact us at (888) 389-2899.